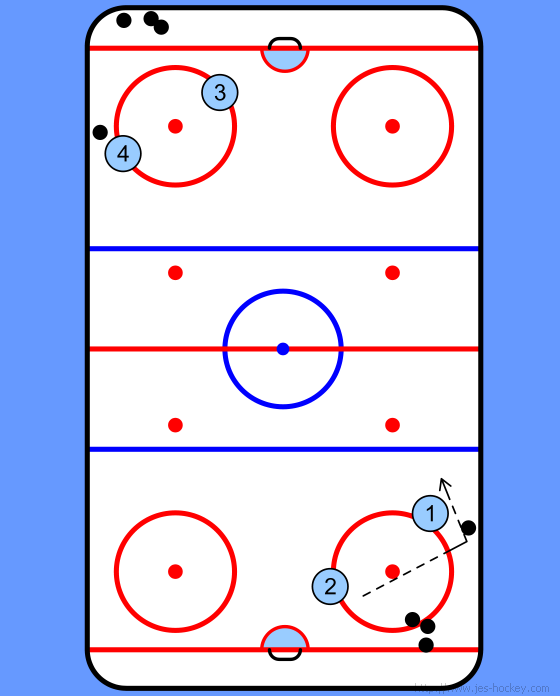 Here's a drill to help kids improve on picking the puck up off the boards and showing them that that there is more than one passing lane when an opposing player is in the way. 1. 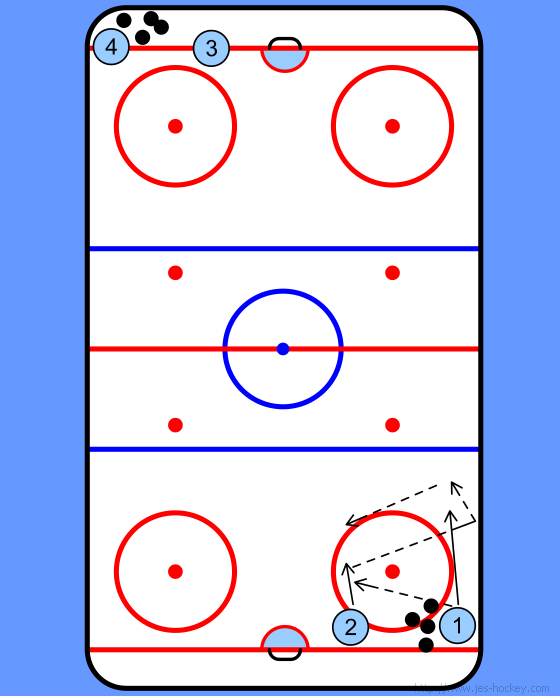 P1 passes it to P2 and skates up ice. 2. P2 returns the pass by using the boards behind P1. 3. P1 then drops it back to P2 and they repeat this until the far blue line. 4. 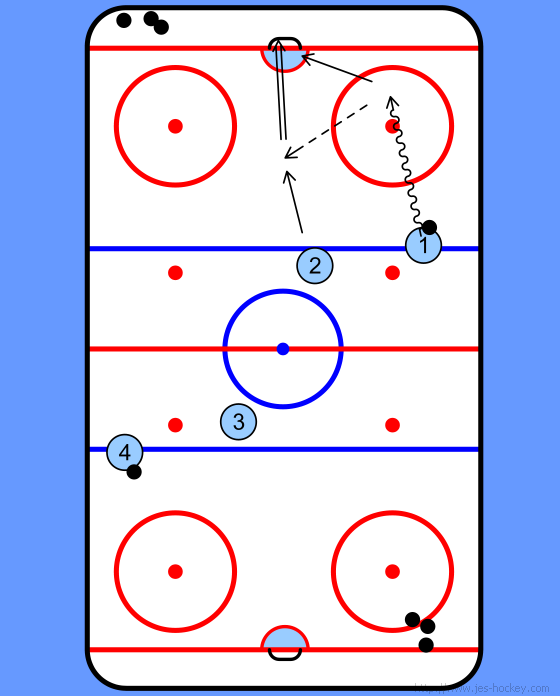 At the blue line they will go in on a 2 on 0, crossover, drop pass etc. let them be creative.